Motored South along the East coast of Rhodes to the ancient city of Lindos. 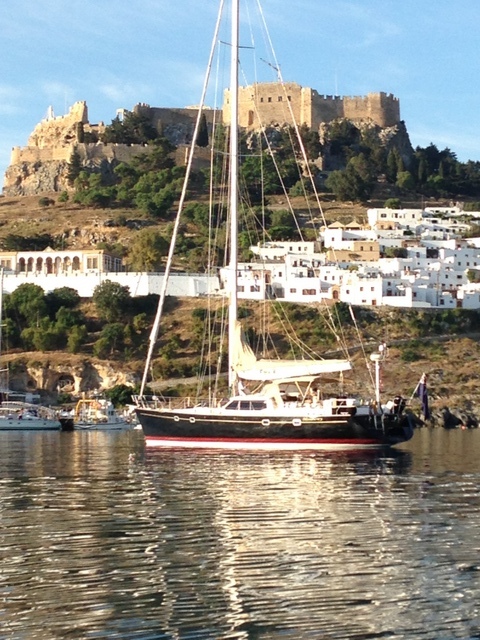 A magnificent ancient fortress overlooking a pristine harbour. There are no large hotels or marinas around the harbour. The bottom is sand and good holding. Absolutely beautiful. Had a good climb through the city then a good dinner at Dionysos, one of many roof top restaurants in the town.